The perimeter weighting on the Hogans looks to be a little greater than the Scor. The "thumb print " is a little deeper, and the the ridge runs straight across the back of the club, rather than curving down towards the toe. 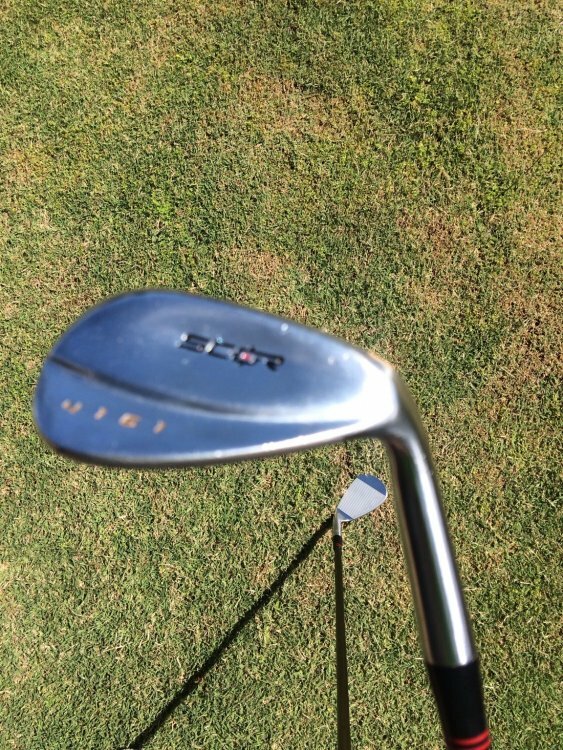 Hosel on the Hogan is slightly shorter. I still haven't had a chance to hit the Hogans, hopefully later this week. I think that â€œthumbâ€ print is what makes the hogan appear boxier. To me it also looks as if there is some offset to the Hogan that's not there with the SCOR. None of this is necessarily bad. It's just my initial reaction. I'm looking forward to testing these in earnest starting next week. Hit a few balls with each wedge today. Initial impressions are favourable. 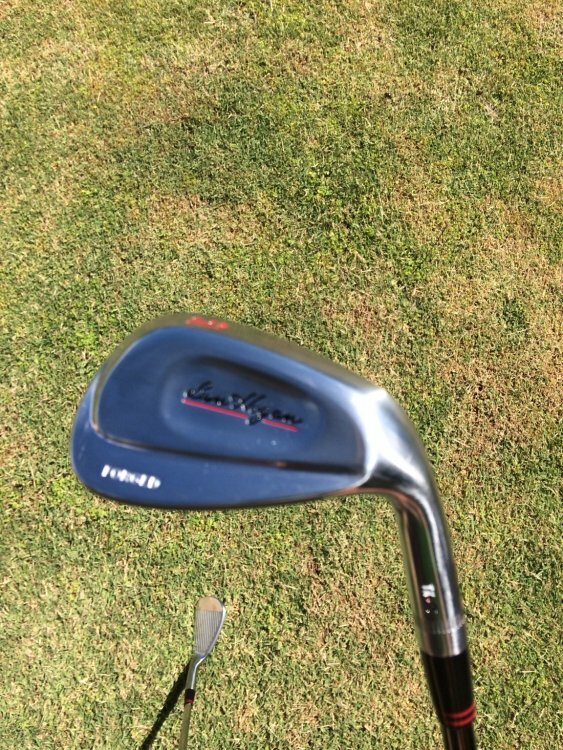 They felt great off the club, could really feel the ball on the club face. I felt confident with them, most were close to the centre of the face, or slightly towards the heel, with no significant change to the result. Love the options the V sole gives, opened the face on a few flop shots off tight lies, with good results. A bit like SM4,5,6, and so on. My initial glance (too busy for more) they look very similar, perhaps a bit more weight higher up the head. If they perform better than the Scors I'll be pretty excited. The COG is slightly higher and the TK wedges are forged from a single block of 1024 carbon steel. My testing has been delayed by cold weather the past few weeks. I'll send some hot cocoa your way Rev. Can't wait to hear your thoughts on them. Played in the wind a rain on Saturday, and it was 23 degrees.